A Mubarak-era judge has been sworn in as Egypt’s interim President, saying he welcomes help from the Muslim Brotherhood to “build the nation”. 300 members of the movement are already behind bars and new warrants are being issued. Adli Mansour, 67, was one of those who drafted the election law which regulated the 2012 campaign, bringing the now ousted Morsi to power. At the same time, the judiciary he was part of, was one of Morsi’s main opponents, trying not to let the ousted leader push through constitution change. The interim Egyptian leader has been out of the spotlight throughout much of his long career in the judiciary. Mansour became Deputy Justice at the Supreme Constitutional Court in 1992, under Mubarak. 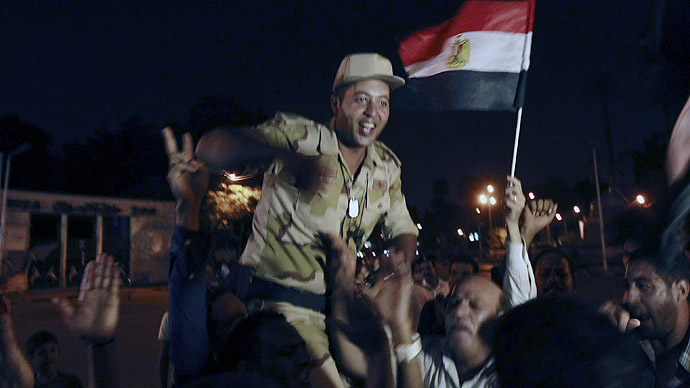 In May he was appointed by Morsi as Chief Justice, but did not take office until July 1, when his predecessor retired. He was sworn in as head of the Constitutional Court on Thursday minutes before the procedure which made him interim President. At the Thursday swearing-in ceremony, he hailed the protesters and the armed forces and also addressed the Muslim Brotherhood. 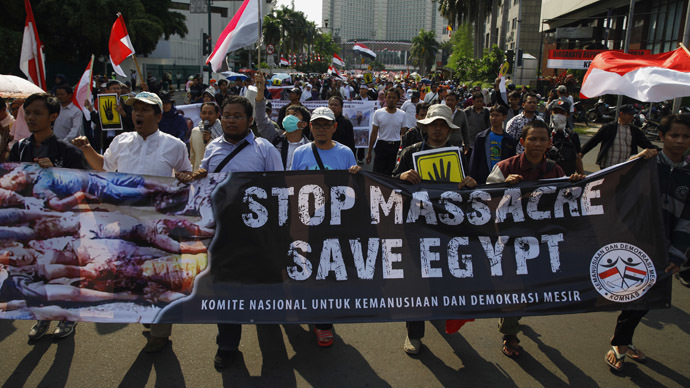 "The Muslim Brotherhood group is part of this people and are invited to participate in building the nation as nobody will be excluded, and if they respond to the invitation, they will be welcomed," Adli Mansour said, as cited by Reuters. Despite Mansour’s benevolent comments concerning the Muslim Brotherhood, the military, who ousted Morsi, appear to be not as tolerant. They have presumably put the ex-president and his aides in the same prison with Mubarak, according to local media. Arrest warrants have also been issued for 300 members of the Muslim Brotherhood. Names of some top officials are on the list, including the Muslim Brotherhood leader, Mohamed Badie, his deputy, Khairat el-Shater, together with the head of the Muslim Brotherhood’s Freedom and Justice Party, Saad El-Katatni. Mohammed Badie was arrested on Wednesday night in a resort village in Marsa Matrouh, a Mediterranean coastal city north west of Cairo, reported AP citing Egyptian officials. He had been staying in a villa owned by a businessman with links to the group. 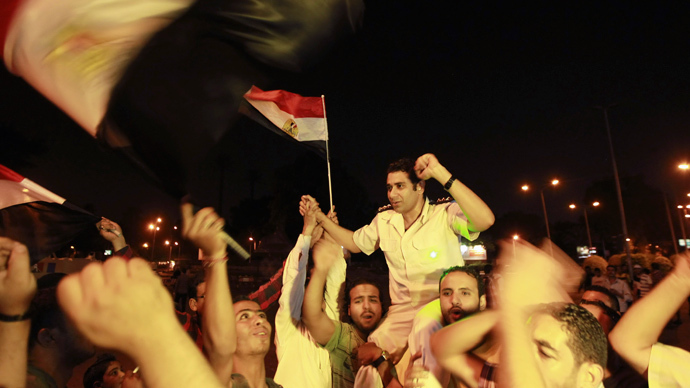 Though the Tahrir crowd erupted into jubilant cheers following the news of Morsi’s ousting, the country remains deeply divided between Morsi’s opponents and supporters, with at least 11 people killed and over 500 injured in clashes, following the military’s announcement. Egyptian President Mohamed Morsi was ousted by the military late on Wednesday, with security forces forbidding him from leaving the country, arresting a number of top Muslim Brotherhood officials, and blacking out broadcasts from a number of media outlets. Four days of multi-million strong anti-government protests preceded the events. 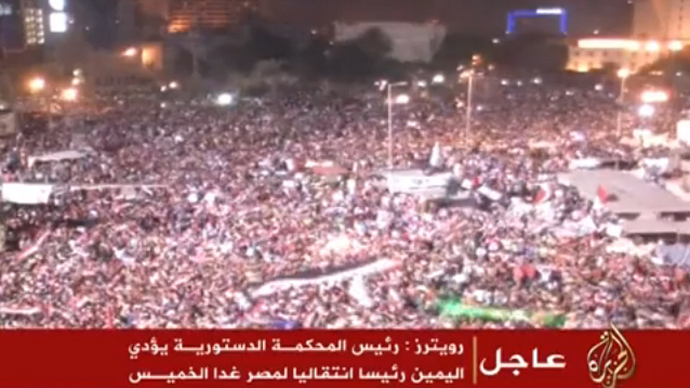 Morsi condemned the actions of the armed forces, describing them as a coup and urging Egyptians not to accept it. 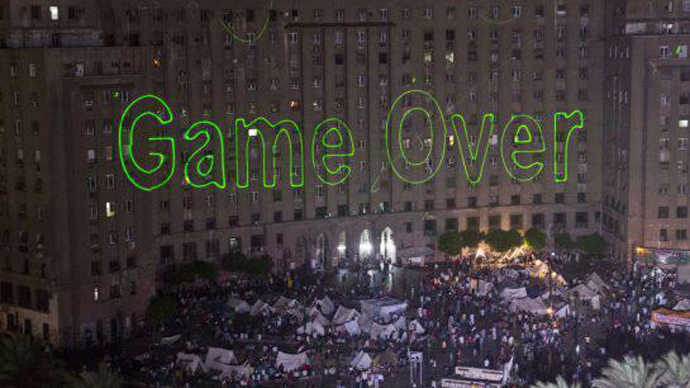 Most of the Arab Gulf nations embraced Morsi’s removal. As for response from the West, it’s more cautious, with world leaders urging the Egyptian military towards non-violence and a return to democracy.